Dichroa’s species name “febrifuga” means “medicine used to reduce fever” and refers to the use of it to treat high fever, particularly related to malaria. The plant’s applications in this regard are known from the Himalayas, Malaysia, and China. 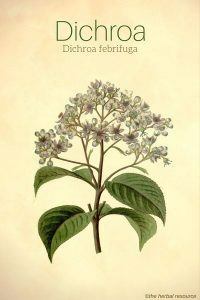 Other Common Names: Blue evergreen hydrangea, Chinese quinine, and fever-flower. In Chinese herbal medicine, it is called chang shan (root) and shu chi (leaf). Habitat: Dichroa is prevalent in China (in the provinces of Anhui, Fujian, Gansu, Guangdong, Guangxi, Guizhou, Hubei, Hunan, Jiangxi, Shaanxi, Sichuan, Taiwan, Xizang). Description: Dichroa is an evergreen, 1-2 m tall shrub that belongs to the Saxifrage family (Saxifragaceae). It has elliptical or lanceolate leaves that are 6-25 cm long and 2-10 cm broad. The leaves are covered with soft or downy hairs (botanically called trichomes). The flower buds are white, but the flower petals turn bright blue when in full bloom. Just as hydrangeas (Hydrangea spp. 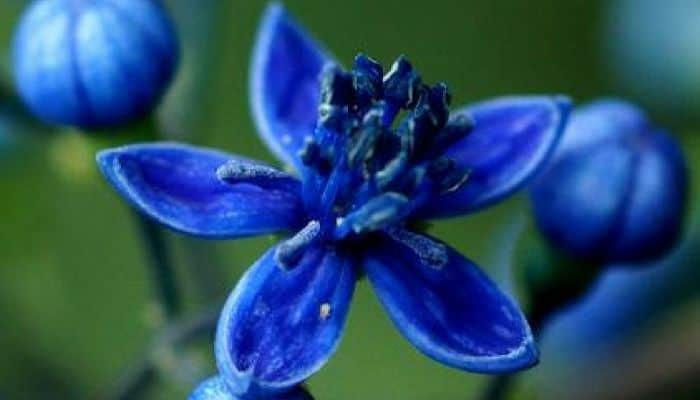 ), the flower color is affected by the acidity of the soil (linked to the availability of aluminum), and the more acidic the soil is, the bluer the flowers are. The fruits are dark blue berries that are 3.7 mm in diameter. The berries are not edible. The plants bloom from February to April, and the fruits ripen from May to August. The plants grow best in slightly acidic soil and are propagated by seeds or cuttings. Plant Parts Used: It is primarily the root that is used in Chinese herbal medicine. When harvested the small rootlets are removed and the main root is dried in the sun and then sliced before it is used unprocessed or roasted. The leaves have similar medicinal effect as the root but stronger in their action when it comes to inducing vomiting. Active Ingredients and Substances: The plant contains quinazoline alkaloids, including febrifugine. It also contains coumarins such as umbelliferone. Dichroa is a bitter herb that is commonly used in Chinese herbal medicine where it is considered to have a cold energy that benefits the heart, liver, and lungs. The leaves have powerful laxative (purgative) proprieties and have been used traditionally to treat stomach cancer. In Nepal the juice extracted from the leaves has been used to treat coughs, colds and bronchitis and the root sap is used as a remedy for fever and indigestion. A decoction made from the stem bark is used as a treatment for high fever, and a decoction made from the leaves is often used specifically to treat malaria fever. The root contains a variety of alkaloids that are considered to have emetic, expectorant, antipyretic and laxative properties. In traditional Chinese medicine, the herb is used to kill the parasite that causes malaria, but it is also thought to be effective against amoebas (a single-celled organism). One of the plant’s substances febrifugine has been found effective against protozoa, especially parasitic protozoa in the Genus Plasmodium that causes malignant and benign third-world malaria fever. Compared with quinine, a more familiar fever-lowering agent, febrifugine is reported to have much stronger effect. The disadvantage of using dichroa is that the plant is slightly toxic and induces nausea and emetic response at therapeutic doses, especially the leaves. Dichroa is used internally either as an herbal preparation or in the form of the isolated substance febrifugine. 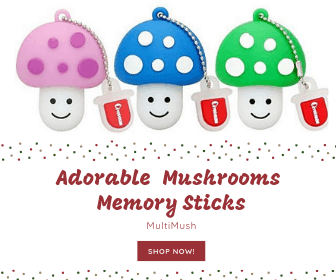 The recommended daily dose of the root is usually 3.9 g.
For all commercial products containing the herb, the manufacturer’s instructions should be followed. Typically, the root is heat-treated with wine to mitigate the side effects, but when the herb is used as an emetic, it is used untreated. In Chinese herbal medicine, dichroa is often used in conjunction with other medicinal herbs like crow-dipper (Pinellia ternata) and ginger (Zingiberis Officinalis) to avoid the herb’s nauseous carcinogenic effects. Dichroa is slightly toxic and should not be used by pregnant women and children. At higher than recommended doses, the herb can cause irritation of the digestive tract, nausea, vomiting, and diarrhea. Even in normal doses, it can cause nausea and vomiting. In addition, it may have a blood pressure lowering effect.